What is ClixSense you ask, ClixSense is a great website that gives you the chance to earn some extra money for Completely Free. ClixSense offers various ways of making money online through visiting websites, offers, surveys, and referrals. 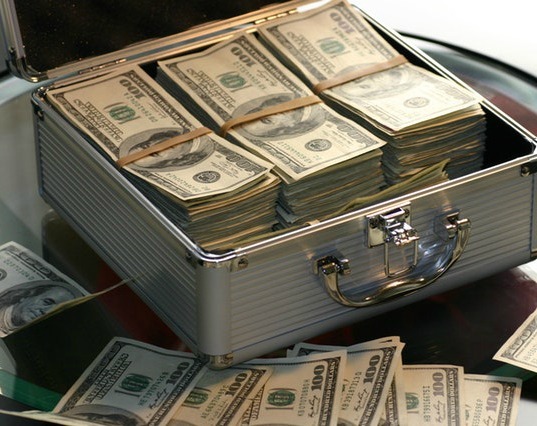 You can quickly reach the minimum payout amount each month and start adding an online income to your existing income! ClixSense is one of the best sites that pays you to visit websites. It’s one of my favorite sites to make money on because of the variety of ways to earn and how easy it is to reach the cashout amount. Even though Clixsense is legitimate and pays me, it’s not going to be a large income, EVER. If you’re looking for a full-time income online, check out My #1 Recommendation, it’s how I made over $13,000 online last month! In this what is ClixSense review we will cover how to make money with ClixSense, how to get paid by ClixSense, and of course what I think about ClixSense. 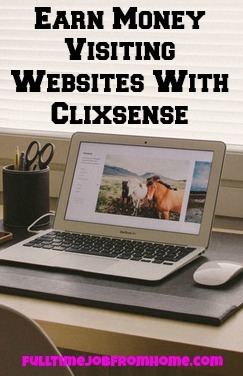 Visiting Websites: The main way to make money with ClixSense is by visiting websites. You must visit each website for a period before getting credit. This time is usually 30 seconds or less. Once you visit a website, you will receive credit immediately. Each site visit usually pays from $.01-$.005; it may not seem like much, but every day there is usually 30-50 websites available to view. Offers: ClixSense also has offers, you’ll get paid to sign up for a site, service, or email list. Some offers are completely free and some paid. Either way, they all pay out well usually $1 or more! Surveys: ClixSense offers paid surveys. Paid surveys typically range from $.50-$5. I have found that most of the surveys are under 30 minutes. With this site, it seems that if you aren’t approved, you will know after answering the first question, instead of wasting 10 minutes to find out you aren’t approved. Referrals: This will be the easiest way to earn much more with ClixSense. You get paid for each referral that signs up under you. You can do this by posting your referral link on social media sites, email, banner ads, or on your website. You get paid for each site your referral visits as well for what their referrals make. This adds up extremely quick and will be the answer to making hundreds if not thousands of dollars with ClixSense. The main way you will be making money with ClixSense will be through visiting websites. This is what sets ClixSense apart from most survey sites, so I wanted to cover it show you exactly how it works. 1) First, you will visit the paid ads page on ClixSense there is usually at least 25-50 different websites to visit. Each ad will show you how long you must view the ad and how much it will pay. You can see an example below. 2) Once you click on the ad, you will be brought to the web page before the timer starts. You will have to verify you’re a person. All you need to do is click on the picture of a cat, and the timer will start! 3) Stay on the web page for the desired time and then you’re done. Your account will be credited for the amount paid for that ad. Continue the process on all the ads available for that day to maximize your earnings. I also want to cover the ClixSense Referral Program in detail because if you want to make money with ClixSense, you will need to take advantage of the great referral program. I will only cover the earnings you will receive as a free member because that is what I imagine most of you will be doing. You might see that you will only be making 5-10% of all your referrals earnings, but trust me if you get a few of your friends to sign up, and they make $10 a month you will earn a commission of around $1. If you can get a lot of referrals, these referral earnings will add up quickly! Clix Sense offers payouts by PayPal, PayToo, and Check. The minimum cash out amount is $8 which makes it incredibly easy to get your money fast. ClixSense pays on every Monday and Friday of each week. The cash out options for ClixSense is the biggest advantage of ClixSense over most paid to visit sites. The option to get paid by PayPal and the low cash out amount sets it apart from its competitors! I gave ClixSense an 89 out of 100 because I feel like it is completely legit and is a great way to make money online. I like how easy it is to earn with ClixSense and how low the minimum cash out amount is. I would recommend ClixSense to anyone looking to make some extra money online. The only reason ClixSense did not get a higher score is that there is a paid version of ClixSense. Don’t worry, to be successful at making money with ClixSense this is not needed. I am a free member and have no problem reaching the minimum cash out each month. You can join ClixSense for completely Free through the link below. ClixSense is one of the sites I recommend for a supplemental income online. It is best if you join ClixSense along with other sites to make a larger online income. You can see the rest of the supplemental sites I recommend here. If you’re looking to make a full-time income online, you can still join ClixSense, but you should check out My #1 Recommendation, it’s how I made over $13,000 online last month! Join ClixSense Now For FREE! Thank you for reading my post on What Is ClixSense. This is a good program for getting paid to visit websites and I highly recommend it. If you have used this site before, I’d love to hear about it in the comments section below and don’t forget to share!